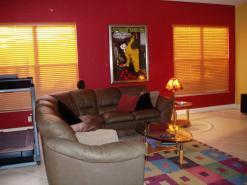 Need a painter in Fort Lauderdale, Florida? How about Palm Beach? Anyone can paint a house or get their house painted. However, there is more than just putting a coat of paint on a house. As professional painting contractors, we realize this, which is why we put every effort into providing each customer with an exceptional amount of painting service. 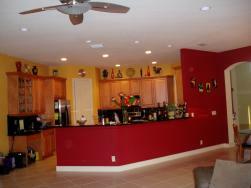 Color My World Painting, Inc. has been beautifying residential property exclusively for more than 25 years. 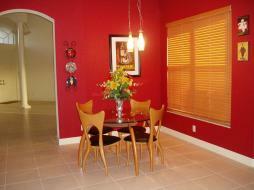 Arthur Speziale, Owner, holds a Florida Painting Contractor License. Our mission is to please its customers and exceed their expectations on a daily basis. Our committment is to quality and professional craftmanship, and we take great pride in your satisfaction. For your interior and exterior painting needs, we will deliver a beautiful, lasting paint job according to your exact specifications. Our services include interior and exterior painting, staining, sealing, pressure cleaning, and much more. No matter how large or small the job, we bring quality materials and workmanship to every job. Color My world Painting offers quality work with a high end finish. We provide onsite estimates free of charge and satisfaction is 100% guaranteed! Now accepting credit card payments! We are licensed, insured and bonded, serving all of Palm Beach County.